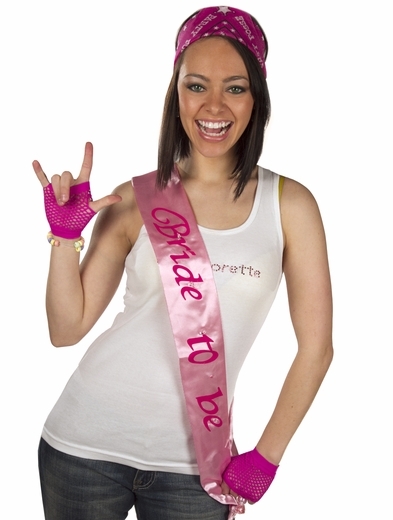 Tips and tricks for throwing a great bachelorette party. This one is another flashing sash, but in pink. The design has a little less going on than that other flashing sash, but it's more elegant, I think. So if you want the bachelorette to look elegant but still show a fun and wild side because of the lights, I think this sash would be a good pick. It's a caution tape sash! I've never seen one of these before but this idea is hilarious and great. It doesn't look too bad, either - it's funny and fashionable! 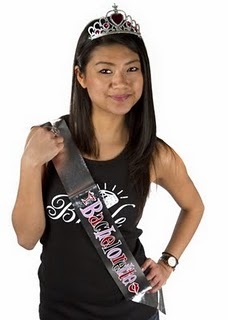 This sash is great if you want to warn everyone that the bachelorette is coming - I sure could have used that for a couple of the parties that I threw! I think this is the perfect sash for a girl with a sense of humor, or a wild girl who might not understand that you're really serious about the warning to everyone she encounters! That's just too funny. Okay, that does it for sashes, I think. I don't know what I'll post about next time... other neck wear, maybe? We'll see! © Bachelorettepartyveteran.com. I buy my supplies from Bachelorette.com.. For tips on throwing a cute bachelorette party, classy bachelorette party, or game-filled bachelorette party, check out these sites!